The findings of this analysis show that if a border wall stopped a small fraction of the illegal immigrants who are expected to come in the next decade, the fiscal savings from having fewer illegal immigrants in the country would be sufficient to cover the costs of the wall. This analysis takes the likely education level of illegal border-crossers and applies fiscal estimates developed by the National Academies of Sciences, Engineering, and Medicine (NAS) for immigrants by education level. NAS calculates the future fiscal balance immigrants create — taxes paid minus costs. NAS reports fiscal balances as "net present values", which places a lower value on future expenditures than on current expenditures. If a border wall prevented 160,000 to 200,000 illegal crossings (excluding descendants) in the next 10 years it would be enough to pay for the estimated $12 to $15 billion costs of the wall. 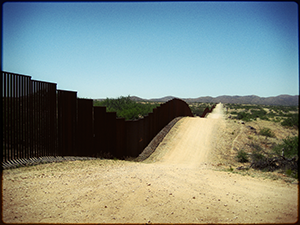 Newly released research by the Institute for Defense Analyses (IDA) done for the Department of Homeland Security indicates that 170,000 illegal immigrants crossed the border successfully without going through a port of entry in 2015.3 While a significant decline in crossings from a decade ago, it still means that there may be 1.7 million successful crossings in the next decade. If a wall stopped just 9 to 12 percent of these crossings it would pay for itself. If a wall stopped half of those expected to successfully enter illegally without going through a port of entry at the southern border over the next 10 years, it would save taxpayers nearly $64 billion — several times the wall's cost. In addition to crossing the border surreptitiously, aliens join the illegal population primarily by overstaying a temporary visa. A southern border wall would not address this part of the illegal flow. A large share of the net fiscal cost of illegal immigrants is at the state and local level, not the federal level. The costs of building the wall will be borne by the federal government.